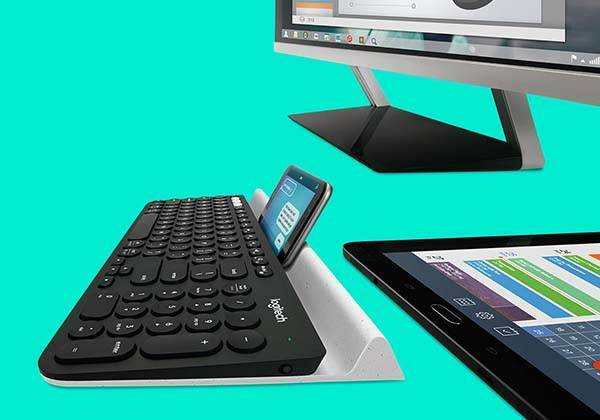 Logitech has released K780, its latest multi-device wireless keyboard that allows to switch between 3 devices, and unlike K380, the wireless keyboard features integrated numbers pad lets you work more efficiently. The K780 is a versatile and practical wireless keyboard that supports PC, Mac, iOS, Android and Chrome OS. The keyboard measures 6.2 x 15.0 x 0.3 inches, weighs 2.0 lbs, and as we can see from the images, the K780 boasts a slim, low-profile and compact design that allows it to decently work with your iMac or a stylish desktop computer. As a multi-device wireless keyboard, the K780 is capable off pairing up to three devices and it allows you to quickly switch between the devices just using three white keys, while its powerful wireless connection supports 40ft range and 128-bit AES encryption. Furthermore, using Logitech PerfectStroke key system, the keyboard with concave keys provides a comfortable, silent and smooth typing experience, and shortcut keys and integrated numbers pad enhance your productivity. In addition, an integrated rubber cradle keeps your iPhone 7 and up to 12″ iPad Pro upright for a comfortable reading angle and easy to reach, and 2 AAA batteries offer up to 24 months of usage. 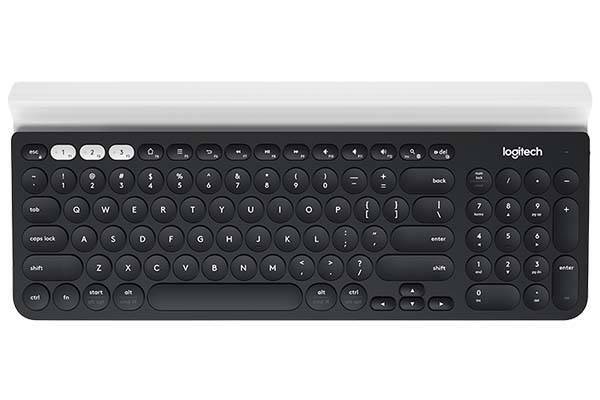 Logitech K780 wireless keyboard is priced at $79.99 USD. If you’re interested, jump to Logitech for its more details.